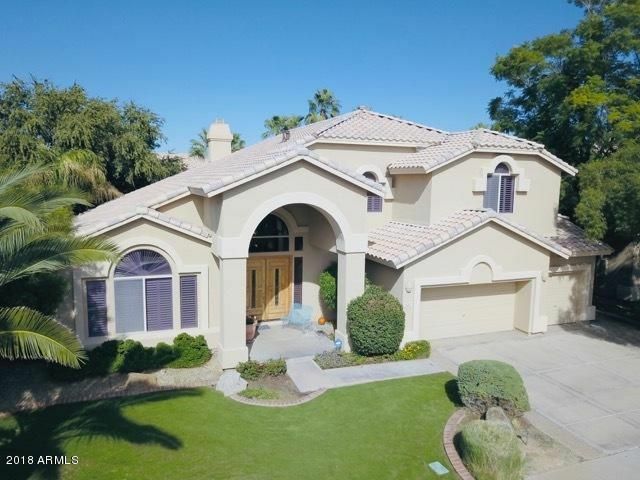 All ARABIAN CREST 3 homes currently listed for sale in Scottsdale as of 04/25/2019 are shown below. You can change the search criteria at any time by pressing the 'Change Search' button below. "Beautiful 4 bed +open den, 2.5 bath home in a spacious 2,942 sqft great room floor plan with split bedrooms and formal dining room. Absolute charm throughout with dark laminate flooring, tall ceilings, neutral color palette. A gas stone fireplace is featured in the open & naturally lit great room. The eat-in kitchen has an abundance of oak cabinetry, unique granite countertops & complementary backsplash, kitchen island with wine cooler, RO system, black stainless appliances including multiple w"
"Spectacular T.W. Lewis home located on an over-sized N/S facing lot that is right down the street from award winning Copper Canyon Elementary School. 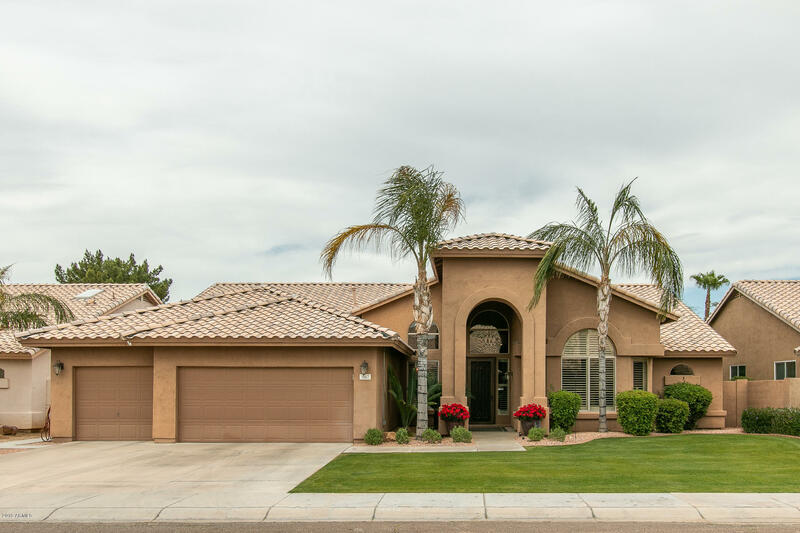 This upgraded home is in immaculate condition. One bedroom and full bath downstairs and 4 more bedrooms upstairs. 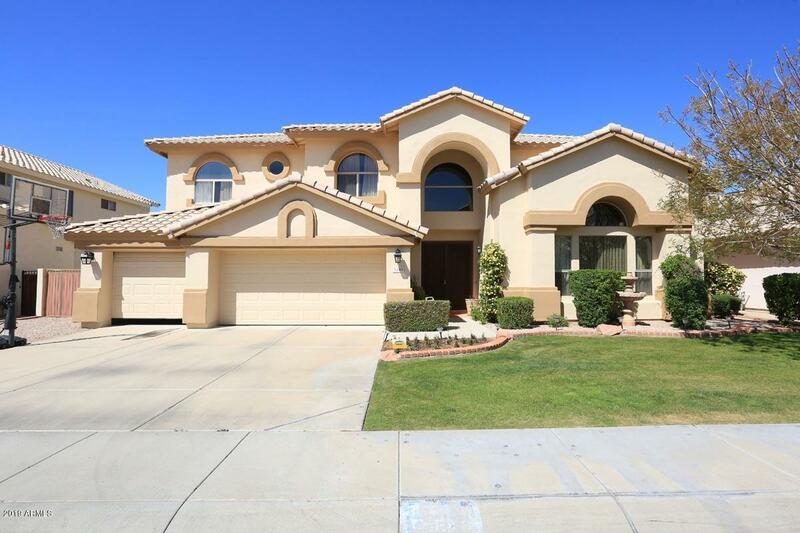 Slab granite kitchen counter,large walk in pantry, gas cooktop, 3 way gas fire place from kitchen to family rm, soaring ceilings, magnificent curved stairway huge master suite. This home is loaded with features and upgrades. Resort clas"
"5 BEDROOM / 3.5 BATH TW LEWIS HOME ON A LARGE 11,220 SQUARE FOOT LOT, THIS HOME OFFERS TWO MASTER BEDROOMS, ONE UPSTAIRS AND THE MASTER SUITE DOWNSTAIRS, NORTH / SOUTH EXPOSURE, DRAMATIC SOARING CEILINGS, DOUBLE DOOR ENTRY, GOURMET KITCHEN WITH GRANITE COUNTER TOPS, HUGE ISLAND AND CUSTOM BACK SPLASH, DOUBLE OVEN, OPENS TO FAMILY ROOM WITH FIRE PLACE, NEW PLANK STYLE FLOORING DOWNSTAIRS, WHITE PLANTATION SHUTTERS THROUGHOUT HOME, RESORT LIKE BACKYARD WITH EXTENDED COVERED PATIO OVERLOOKING THE P"